England beat India by eight wickets in Antigua to reach the World T20 final. Heather Knight’s team will face Australia on Saturday at 8pm local time (12am GMT, Sunday November 25). After losing the toss England’s spinners performed brilliantly to bowl India out for 112. The wickets were shared around, Heather Knight took 3-9, while Kirstie Gordon and Sophie Ecclestone recorded figures of 2-20 and 2-22 respectively. England’s batters then executed out a nerveless chase with Nat Sciver (52*) and Amy Jones (53*) unbeaten at the end. Jones was voted Player of the Match for her efforts. A victory for England looked a long way off when Smriti Mandhana powered her side to 43-0 towards the end of the powerplay, while at 89-2 in the 14th any hopes of bowling India out would have been slim. 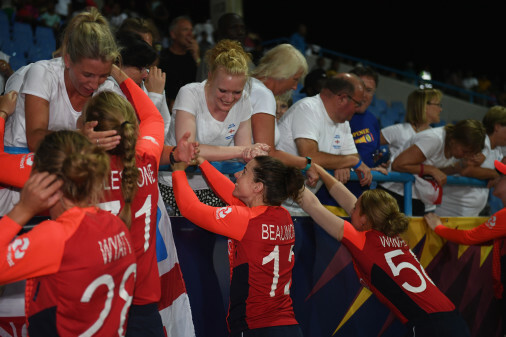 It’s further evidence of the fighting spirit Heather Knight has been so proud of throughout this tournament, and England will also take great heart from the confidence with which they chased down India’s score.